Bobcat of Warsaw was originally started as Gragg Equipment; an International Harvester dealer founded by Kenneth (Kenny) Gragg in 1949. Gragg Equpment was located in Bremen, IN until Kenny relocated to Winona Avenue, Warsaw in 1959. 1961 saw the start of Gragg Equipment’s outdoor power equipment offerings when International Harvester introduced their first lawn mower, the Cub Cadet. In 1964, Kenny started construction of the business’s current location, 3568 South State Road 15, Warsaw. He moved in the following year. The 1960’s saw an ownership change to Gragg Equipment. Kenny’s son-in-law, Merl Heckaman purchased the business in 1966. For the next ten years, Gragg Equipment continued to sell IH equipment and parts to local farmers in Kosciusko County and the surrounding areas. The birth of the Bobcat products at Gragg Equipment came in 1977 when they signed a franchise agreement with Melroe Equipment Company to sell the Bobcat brand line of equipment. 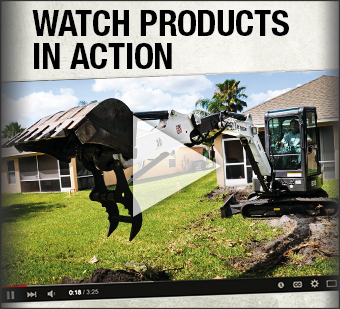 Gragg Equipment steadily increased the amount of Bobcat equipment they sold each year. In the early 1980’s, one of Merl’s 4 sons, Brian became heavily involved with the Bobcat side of the business. Gragg Equipment continued to sell both IH, including Cub Cadet and Bobcat through the 1980’s. The 90’s saw International Harvester leave Gragg Equipment, and Bobcat became the mainstay of the dealership. Cub Cadet stayed since it was a separate line of equipment, from the IH lineup. In July of 1998, Brian passed away unexpectedly and in 1999 Eric his next younger brother, stepped in and helped out where he could selling equipment and helping the family business. In March 2003, Gragg Equipment made another step and changed its name to Bobcat of Warsaw, Inc. as transitions were made for Eric to become partial owner in the family business. Since then, several lines of outdoor power equipment have been added to include; Exmark (2011), Echo and Simplicity (both in 2012). 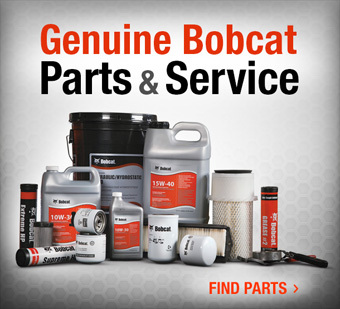 Bobcat of Warsaw, Inc. has been a family owned and operated business in the Warsaw area for 60 years. 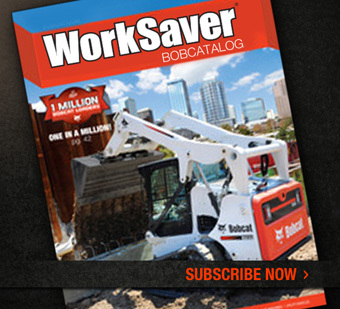 We have been a full-line Bobcat dealer for over 40 of those years. We are one of the few remaining Original Cub Cadet dealers in the county. We have supported the Exmark line for nearly 10 years now. We are your local answer for most of your compact equipment and outdoor power equipment needs in Kosciusko County and surrounding areas.